911uk.com - Porsche Forum : View topic - 996 C4S Dash Cam Removal HELP! 911uk.com Forum Index > 996 (1997 - 2005) > 996 C4S Dash Cam Removal HELP! 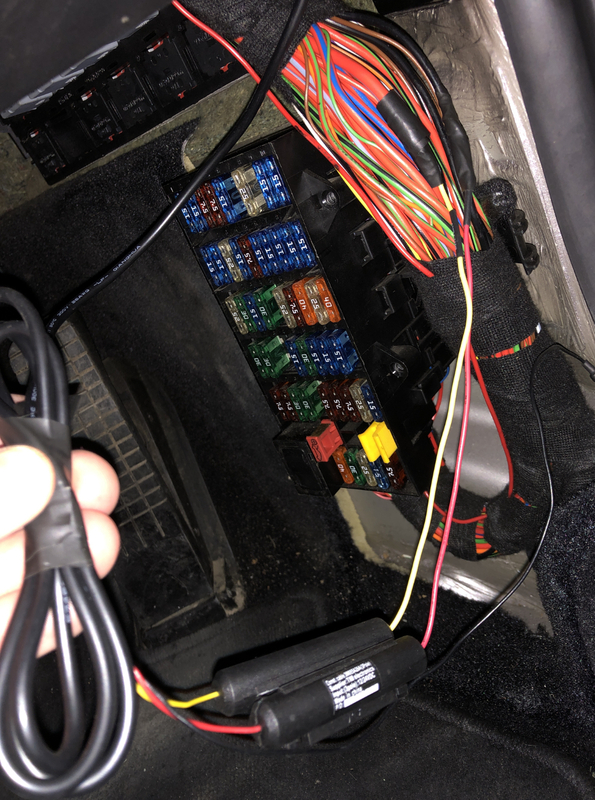 Posted: Tue Jan 22, 2019 9:29 am Post subject: 996 C4S Dash Cam Removal HELP! Hi everyone, I am new to this forum and also a first time Porsche owner. I purchased myself a 996 Carrera 4S before Christmas and I am loving it so far. It has a front and rear cameras installed which I want to remove. This is not my daily driver so would prefer them removed. The wire goes behind the rear view mirror and then splits in to two (presumably to send a feed to the rear camera) and then runs down the passenger front pillar, after that I am lost! Is there anybody local in Derbyshire that has fitted one in their 996 that knows exactly what to pull/push to get it all out? I don't mind tackling it myself but would like some guidance. Another option would be to get a professional fitter to remove it if anybody knows of anybody local to Derbyshire/Sheffield. Any wires on mine just run under the seal on the A pillar. If you look berween the underside of your dash where it goes up against the door seal you should see the wire fed through. 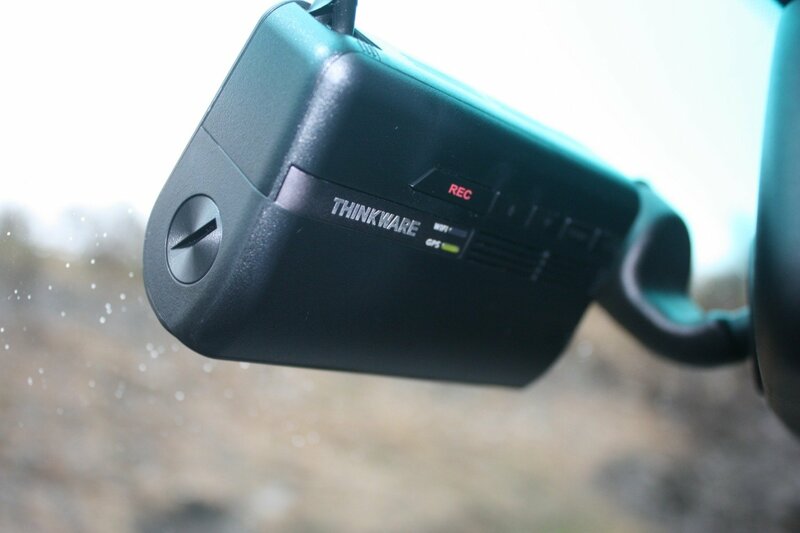 It just pulls out from under the length of the door seal against the A pillar then across the top of the windscreen. The whole wire should easily just pull out. Because of the rear camera, I assumed the roof liner would have to come off too. Does the wire run all the way to the fuse box or is it powered through somewhere else? It has a parking recording facility you see so I assumed there must be power fed all the time..? I cant profess to be too clever with car electrics by the way so I really appreciate any help Alex! Is your car a coupe or a cab? If coupe the A-pillar trim is, I think, the same as my turbo and runs in one piece up the pillar, across the top of the door to the top of the b-post. I had to remove the trim piece at top of b-post then pull the a-pillar/door trim off from that end forward.. It's held by a few metal clips and takes a bit of effort to remove. My personnel opinion would be to take it to an indy and get them to remove it . You dont have to remove all wires you just need to disconnect them and they will terminate near the fusebox but you need to know what your looking for .. there is no set installation . i would guess at 1 - 1.5hours labor charge at an indy . If you have never removed an A pillar trim then i would advise against it . First of all thank you everyone for your help. The majority is now removed! The pillar was an easy removal as suggested above and what I didn’t realise is the rear camera is just connected by a mini USB connection so I unplugged that and then fed the wire back above the roof liner (there must be a cavity). Both cameras are now removed with just the wiring to remove from the back of the fuse box. What’s would people suggest here, should I just cut the yellow and red wires and isolate them individually in some sort of connector? I’d leave it and tuck and tape anything visible out of sight. If you or the next owner ever want to reinstall it’ll be straightforward. From the photo it looks like it has been wired in by going straight in to one of the main feeds. I would take off the insulation around the joint, remove the wire which has been added and properly tape up the joint. Hopefully if anybody decides to put one back in in the future they will do it properly by taking a power feed from one of the power terminals on the back of the relay carrier rather than bodging it in like this. It might sound really obvious, but disconnect your batter before doing this. There are potentially a lot of amps on that feed. Very helpful MisterCorn, I will have a look under the insulation tape later, so from your comments do I assume it is not fused at the moment? Has that anything to do with it having to have a constant feed for the parking recording though? I would guess those black things contain fuses. I would be amazed if it isn't fused somewhere in the supply line though. Not easy to tell 100% what is going on from the photo though. You could just remove the fuses from the black things (I assume red=+12v and yellow=+12v ignition switched) and close them up again. Although my OCD would have me do as MC says and undo the tape, remove the wire and repair the original wiring insulation. Reminds me of removing aftermarket alarms on 90's cars. 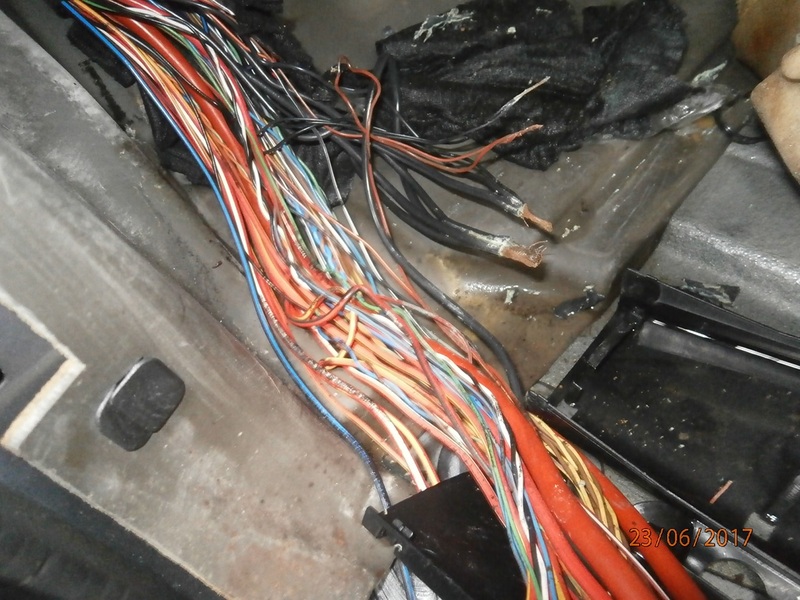 Cowboys, theres no need to butcher the wiring like this to install something like a dashcam. Connecting wires like that is an industry standard for aftermarket items . its a solder joint , with the black boxes being the fuses ..
You have a battery voltage , an ignition on voltage and an earth there . Porsche already do something similar but use crimp connections in their wiring from new .. its either a crimp or a heat bond and these can cause issues ... had to find these faults many times im afraid . Cayenne image below to give you an idea .. imho solder is better than what Porshe use as standard . I would normally cut the wire as close as possible to the main wire then tape it up . Thanks for confirming that deMort, very useful to have the reassurance that this is actually ok! What would you suggest after I fully disconnect the spur then, should I solder the wires back together and put a heat shrink sleeve back over the wire? That’s what I was intending on doing...? Ive removed countless alarm systems , immobilisers over the years .. they are all fitted this way . All you are trying to acheive is to make sure the wire cant short out against the body work .. you cut the wire off as close as possible and then tape it up. there isnt anythjing more you can do other than replaceing the loom .. Some immobilisers and they fit thinner wire .. this i will cut out but in your case .. just remove and tape ... at the end of the day .. its a wire added to the exsiting one , it hasent weakend it .. it just needs removeing . Be aware .. these are live wires .. battery disconnect as MC said first . I would seriously consider keeping them, they can save a great deal of heartache and ballache. if you dont want the danger of being convicted off the back of whats recorded previously then remove the mem card or the fuses or fit a really tiny card so it only records 10 minutes . asterix_the_gaul I appreciate your comments. My C4S is a weekend car that I want to enjoy driving, which I wasn’t doing listening to an American accent telling me the speed limit every 100 yards followed by a warning of a speed camera followed by recording commencing when I start her up etc. etc. I plan on doing around 2500 miles a year in this car so do not see the point. On the other hand I am an insurance broker and aware that it can certainly prevent a huge amount of headache once an accident happens! I do 25000 a year in my daily A5 which would be more suited to the cams, but not the weekend toy.